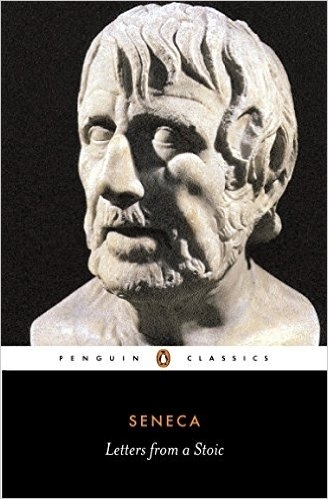 A massively influential work of philosophy, I've enjoyed this book every time I go back to it. Great entry point for anyone into virtue ethics. Why lust for more when you’re already happy? If you want more now, you’ll want more when you have that too. Learn to be content with having enough. Focus on depth, not breadth. Pick your art and dedicate yourself fully to cultivating it. Seek the mean between extremes, not running from intense business to complete abandon, but a happy medium of engagement and enjoyment. Dedicate yourself to self improvement and education about all else. Be respected for your self, not the things you own. Hope, fear, worry, stress, they all come from focusing more on the future than the present. We enjoy what we have by sharing it with others. Crowds will more easily draw you into vice, so choose your crowds wisely. Don’t lament what’s lost, what will crying over it accomplish now that it’s gone. Pick someone as a role model to compare your life against. Use them as your invisible judge and mentor. Remind yourself of everyone you’ve out done and surpassed, not just the ones you’re trying to catch up to. Perfection of wisdom creates a happy life. Practice poverty and loss. Realize that it’s not as bad as you feared, and you will stop fearing it. Don’t try to fix an internal problem through external changes. Travel will not help you if you’re trying to escape yourself. Don’t be an interpreter, be a creator, focus on making things of your own, not just working in other peoples’ shadows. We’re frequently unaware of our weaknesses, just as a heavily deep sleeping person is unaware they are asleep. Force your mind to be self absorbed and undistracted. Much of sadness and grieving is people parading their loss, not necessarily feeling it. We weep to tell others that we are feeling sad, no one grieves ostentatiously alone. Complaining does not help your suffering. Pain is always temporary or bearable, we’re designed that way. It always passes sooner than we expect, we just have to let it, and not indulge ourselves in grief. We don’t lose confidence because of difficulty, difficulty comes from lack of confidence. Everyone has someone who they tell any secret they’re supposed to keep.